One of today’s top news was the sudden wargame of Russian armed forces in the Black Sea. This exercise has all the drama of the opening chapter of a cold war thriller. The drills started early in the morning, when President Vladimir Putin, who was returning from Durban, South Africa, to Sochi aboard Air Force One, ordered Defense Minister Sergey Shoigu to alert the Black Sea fleet, as well as the regional Air Force and troops. Shoigu opened an envelope delivered to him at 4:00am Moscow time, and only then learned of the planned war games. Different news outlets report that at least 30 Russian warships are taking part in this mob flash war game. According to this website there are 42 active Russian warships in the Black Sea Fleet. If 30 ships are really taking part in the exercise this makes %70 of the whole Black Sea fleet. “The training partly involves Air Forces, rapid deployment paratrooper divisions, Marines, special forces of the Intelligence Service of Russia’s General staff,” presidential press secretary Dmitry Peskov said, adding that at least three airborne insertions are planned during the exercises. The troops and vehicles made a 500-kilometer march to assigned shooting ranges for target practice. The warships also conducted firing exercises in which the Russian Air Force practiced supporting naval and ground forces. According to international practices, Russia remains within its rights not to inform any country about the military drills, given the large number of soldiers taking part in the war games, Peskov said. He also did not excluded possibility of President Putin personally inspecting the ongoing military training: The city of Sochi is situated on the Black Sea, very close to the training zones. At the moment there is a lot of speculations about the reason behind this sudden and massive war game. I will put my money on the upcoming Sochi Olympics. This might be a good opportunity for the Russian to exercise a what if scenario related to the security of the Olympics. 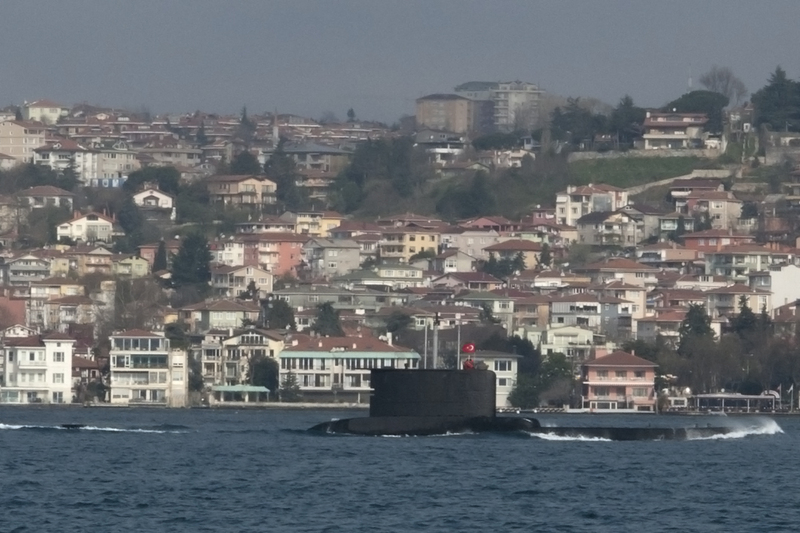 A Turkish 209 Type 1200 class submarine heading to Black Sea on 25 March 2013. Photo: Kerim Bozkurt. Used with permission. Is there any relation between US B-1 sent from US to North Korea and sudden call to arms??? Dah??? ?